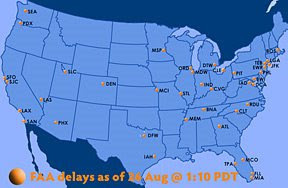 The administration said there have been no radar outages and they have not lost contact with any planes. Reuters is reporting the total number of flights affected as 5,825. A major weather system – remnants of Tropical Storm Fay – is also pounding ATL, adding to the misery of 1,000s of travelers. CNN says "The problem appeared similar to a June 8, 2007, computer glitch that caused severe flight delays and some cancellations along the East Coast." I say, dump whatever Windows-based system the FAA is using and get a couple of hundred Macs. Not only will they have little to no major failures like this, all the pretty pictures the FAA people look at will be beautiful. I am joking of course about the Macs, because we all know Macs are just for kids to listen to music on...and Windows boxes are BIG and POWERFUL and...oh wait, they crashed again. Damn. UPDATE @ 2P on 08.27.08: I just got this money quote from a controller who shall remain anonymous: "Windows? Heck we're still running MS-DOS 5.0 on one of the systems at the Tower/TRACON where I work!!" The "traditional media" in Las Vegas has delivered yet another example of shock aviation journalism following the horrific crash of a Velocity 173RG that killed two occupants of the plane and one person on the ground. "The plane in Friday's tragedy can be ordered over the Internet in a do-it-yourself kit. It runs about $30,000. Last year, experimental homebuilt planes accounted for more than 12-percent of plane accidents nationwide. They are a $30,000 do-it-yourself dream -- sleek planes built from the ground up in garages and backyards." Yes, any Goober with a computer and thirty large can order up one of them homebuilt contraptions and duct tape the damned thing together in his backyard...at least that's what the reporter wants you to believe. 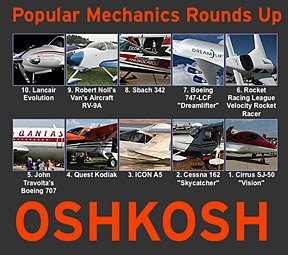 Read that at face value and anyone not knowledgeable with the EAA and experimental aircraft could think these are cobbed-up junk slapped together by amateurs. 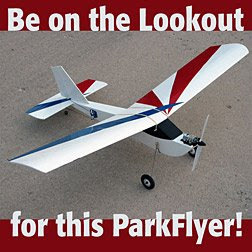 "Even though they are built by hobbyists, the planes have to be physically checked by the FAA or certified inspectors before the first flight and every year after that. Yes, it was built by an individual and not on a production line, but it is built to FAA standards." "Following the tragic fatal crash of a Velocity 173RG in Las Vegas, NV, a local official from the Clark County Aviation Authority is grabbing some headlines. The Aviation Director, Randy Walker is apparently calling for the banishment of experimental aircraft from the North Las Vegas Airport. Despite the fact that there is a long history of problems revolving around Las Vegas Airports, for a number of reasons, Walker is reacting to the one accident that occurred this week as the specific reason to forbid the flying of experimental-amateur built aircraft from "busier" airports." Man, this just stinks in so many ways on so many levels. It makes me wonder just HOW the HELL all those "Internet phenomenons" managed to arrive at Oshkosh this summer without killing massive amounts of innocents on the ground. You would think that some of that BAILING WIRE would have came loose sending flaming homebuilts into the Wisconsin countryside. Back in the days when I was a reporter, we had these growling people looking over our shoulders called EDITORS that fact checked a story before releasing it for printing. Had this story been looked over by a actual editor, the fact that this Velocity that crashed was inspected by the FAA same as a production aircraft could not have been overlooked. That fact would have killed this story, and the flames of discontent that have now caused a call for a ban on experimentals at VGT would never have been fanned. I am not the only person out there that has noticed how OLD John McCain looks these days. He acts dazed and confused on camera, and I wonder how he could put together complete sentences on his own without the help of a team of speechwriters. This month, McCain turns 72 years old, which means that if – God forbid – he was somehow to win this election and then convince a majority of dumbed down Americans to vote him back into the White House, he'd be 80 at the end of his second term, provided we all live that long with BushCo v2.0 holding the 'football'. 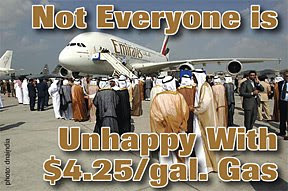 "President Bush on Dec. 13, 2007 signed into law a new mandatory retirement age for pilots. Now commercial pilots can stay on the job until they’re 65. The Fair Treatment for Experienced Pilots Act allows both the pilot and copilot to be up to 65 years old on domestic commercial flights. However, commercial pilots flying internationally must still abide by the International Civil Aviation Organization standard set in 2006. This requires at least one of the pilots to be under age 60." Herein lies the problem. The same government that says a human being is too feeble at age 65 to safely guide a pressurized tube full of souls through the sky also says a grumpy old white guy seven years older than that is fine to lead our country. What kind of bulls**t is that? Don't think for a minute that the FAA made this change in the "Age 60 Rule" lightly either. They spent years consulting many, many medical experts who concluded that today's human starts to lose it when they cross their 65th birthday. 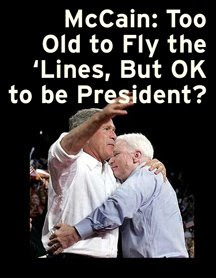 So what clown concluded that John McCain at 72+ can handle the White House? "Foreign Service Officers (FSOs) are part of a professional service that implements the foreign policy of the United States at embassies, consulates and diplomatic missions at nearly 265 locations worldwide, as well as in Washington, D.C. They use their specialized knowledge and skills to advance specific objectives, protect U.S. citizens abroad and support American business interests. FSOs below the senior ranks serve in one of five cones: political, economic, public diplomacy, consular and management." Oh, wait, forget that. They also have a mandatory retirement age of 65...a milestone Maverick passed way, way back when we were all still worried about Y2K. Now THAT would be fun, have McCain explain Y2K...what was supposed to happen, and how it would have effected our country's Internet if millions of computer systems crashed as predicted. Maybe when he stumbles and fumbles for an answer, he can pull out his old school cell phone and call his fratboy pal George Bush, and he can use 'the Google" on any one of the many Internets in GOP-world to solve this Y2K riddle. It just boggles my mind that out of all the sharp, intelligent GOP business men and women in this country well under 65 years old, the best they can field is a grouch who would get laughed out of his first interview at PoeDunk Airlines. "China, which has the second most air traffic in the world, now has 570 general aviation aircraft, 235 more than in 2002." 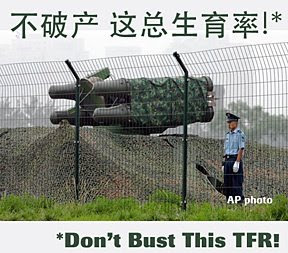 "Beijing has deployed anti-aircraft missiles in the vicinity of the centerpiece Bird's Nest stadium in its latest effort to boost Games security. The move was in line with standard security procedures at other major sports events, said Ma Xin, who advises Games organiser Bocog on anti-terror tactics. Mr Ma declined to reveal the exact model or number of missiles deployed but pictures of a launch pad on the fringe of the Olympic Green – an area covering 2.91 square kilometres that is home to venues like the Bird's Nest and Water Cube – have been posted on many websites. Some have identified the missiles as Hongqi 7, or Redflag 7, a Chinese-made short-range ground-to-air missile designed to intercept low-altitude targets." Let's just hope you-know-who doesn't see those missile launchers while on his trip to the Opening Ceremonies, because I'd sure hate to see the DHS take a play out of the Chinese Homeland Security playbook. UPDATE@627P ON 08.07.08: Right on cue, the weirdness begins. And if you're going to try and piss off the American press, maybe the fastest way to do that would be to screw with their minds immediately upon touching down in Beijing. Oh, those silly communists, they really know how to stir up the pot. There can be no disputing the fact that as fuel prices rise due to supply, demand, environmental and greed issues, the future availability of the 100LL that our flying machines crave will grow increasingly cloudy. 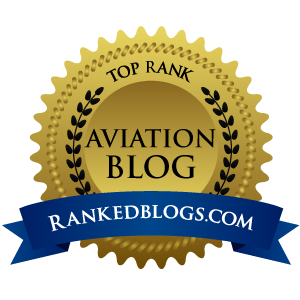 Throughout the world, engineers are searching for a Holy Grail replacement for 100LL, and many – including me – think that will be good ol' Jet A. Reason is, it can be burned in any number of current and future diesel aircraft engines, or it can be spun up to ridiculously high RPMs and lit off in a turbine. I really love the sound of the latter, but who except a very few seriously wealthy pilots can think about buying and flying a turbine...unless we spend well north of a million on a new PJ and way more then our budgets can stand on transition training and insurance. 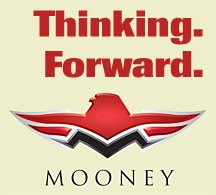 "Mooney Airplane Company announced today that the company has entered into a joint engineering project with Rolls-Royce. The scope of the project will include exploration of using the RR500 as an alternative fuel (Jet A) power plant to complement the current Mooney product line. Mooney believes that an affordable turbine-powered four-place aircraft is an important segment of the market that is being overlooked. Such an aircraft configuration fills two growing voids in the market. First, a four-place turboprop represents a logical step for the tens of thousands of pilots now flying high-performance piston aircraft because the transition to flying a small turboprop will require no special type rating or unusual insurance requirements. Second, a Jet-A powered turbine provides the basis of a product that has global appeal." When you think about it, this makes perfect sense. I've always been among those who believed that we would someday see smaller turbine engines start providing the power for more and more GA planes on the lower end of the price envelope, and this Mooney/Rolls partnership certainly moves that theory along nicely. One point that Mooney makes very clear on their web site is the savings to be had if you take advantage of the Section 179 and Bonus Depreciation made possible by the 2008 Economic Stimulus Act. That's the same act that delivered those wonderful $1,200 checks to lots of mailboxes across America (Best Buy got my check for a new 37" 1020p TV, and YES, I did try without any success to buy a U.S.-made TV first...it is just not possible). "The Section 179 raised cap is significant for Mooney buyers in that the previous cap was $562,000 - which meant that a Mooney buyer acquiring an aircraft with a total cost of over $562,000 was unable to take advantage of any of the Section 179 expensing. This also means that Mooney buyers can elect to write off over 70% of the cost of their airplane in the first year. Assuming a buyer is in a State and Federal tax bracket of 38%, this would equate to a first-year tax savings of between $140,000 and $175,000, not including the interest write-off also available from financing the aircraft. This bill will significantly lower the buyer's tax bill for 2008." These tax savings obviously don't just apply to Mooneys, but in a quick glance at the Cirrus and Cessna sites, I did not see this news displayed in a prominent manner like it was on the Mooney site. I have always liked Mooneys, and have admired their management team, their perseverance, and of course, their amazingly well-built product. And with the addition of a turboprop to the sales floor, you can just see the stock of this company climbing about as fast as...well...a turboprop Mooney!